Files with ndr suffix can be usually found as reports from RAVE Reports a visual report designing tool. What is ndr file? How to open ndr files? File extension ndr is associated with RAVE Reports visual report design tool used to create reports from Microsoft ODBC, Microsoft SQL Server, Apollo, Advantage, DBXpress, Access & DBIsam databases. A typical .ndr file stores report created by RAVE Reports. 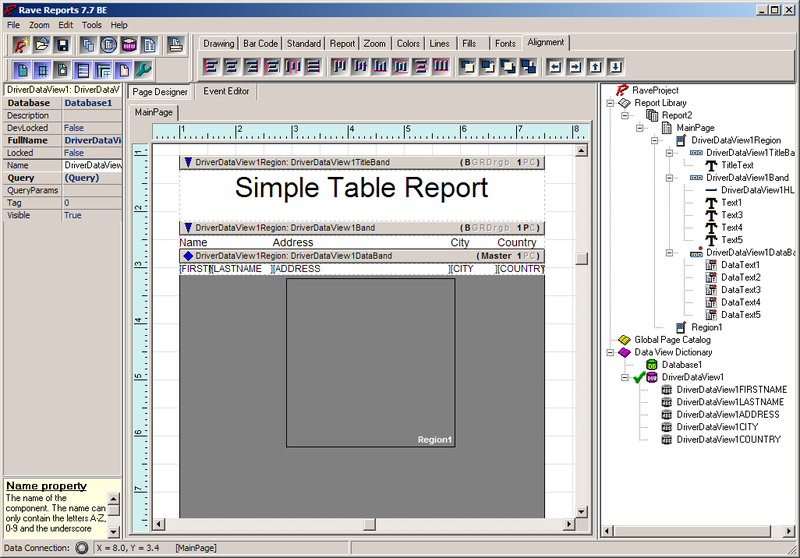 Rave Reports Standard Edition is a stand alone version of the Rave Reporting system designer. Rave SE will work within any Windows environment, and provides the award winning Rave Visual report designer. Use RAVE Reports to open and review the .ndr report files. Some sort of export of the reports is perhaps possible in the original software. and possible program actions that can be done with the file: like open ndr file, edit ndr file, convert ndr file, view ndr file, play ndr file etc. (if exist software for corresponding action in File-Extensions.org's database). Click on the tab below to simply browse between the application actions, to quickly get a list of recommended software, which is able to perform the specified software action, such as opening, editing or converting ndr files. Programs supporting the exension ndr on the main platforms Windows, Mac, Linux or mobile. Click on the link to get more information about Rave Reports Standard Edition for open ndr file action. Programs supporting the exension ndr on the main platforms Windows, Mac, Linux or mobile. Click on the link to get more information about Rave Reports Standard Edition for edit ndr file action. Programs supporting the exension ndr on the main platforms Windows, Mac, Linux or mobile. Click on the link to get more information about Rave Reports Standard Edition for create ndr file action.